Tequila TorontoThe top bars and restaurants to drink tequila in Toronto are, unsurprisingly, Mexican spots. With Toronto set to hold the world record for the largest tequila tasting, it's no wonder that tequila's image has been rejuvenated of late. When putting together this list, the first criteria I looked for was, naturally, a large selection of tequila (and their smokier cousin, mezcal). I also took note of the quality of food available as well as the ambiance, of course. 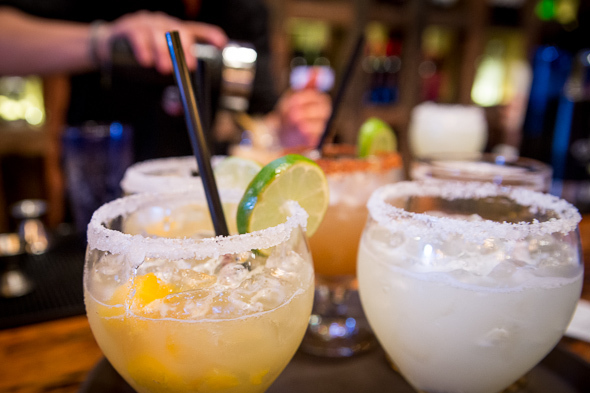 Here are my top picks for tequila bars and restaurants in Toronto. Opening this year in the Distillery District, El Catrin immediately put itself on the radar in Toronto with an eye-watering range of almost 90 tequilas and mezcals, including the ballers-only Clase Azul Ultra Extra Anejo for $200 an ounce. Surprisingly, the rest of the list is amazingly well priced (at least for the Distillery District). The margaritas are great, the food is delicious (if a little pricier than you'll be paying elsewhere), and the decor is exceptionally vibrant. It's also the biggest spot on the list, with almost 200 seats, in case the tequila craze gets out of hand.